An update on the sun position. For the first time since the significant axis shift in 2004 which we’ve been tracking since 2006, the 2014 summer solstice measurements on June 21, 2014 have shown another increase of the sun position to the north. Where it was setting about 10:00 to the north on a clock face. It is now about 10:15 to 10:45 toward the north from where I measured it in TX & 10:00 from Salt Lake’s viewpoint. I had expected the Salt Lake City latitude to be closer to 9:00 so that means the sun is much farther north of the Tropic of cancer than the 1200 miles I estimated. More like 2000 miles north of the mid Mexico Tropic of Cancer. Perhaps north of Washington State. I wish we had heard from someone in Seattle or anywhere on that latitude. This explains the changes in the weather this year. Increased solar position toward the north is increasing melt & evaporation of the glacial ice. Thus, increasing humidity levels. This explains the high fog we are seeing over TX each morning this year. This is the first time I’ve seen this kind of weather in Texas during 20 years of residence. Daily high fog is normal in northern California but not Texas. I have also read some interesting articles on the rampant increases in Greenland’s glacier melting & loss of ice reflectivity indicating heavy bottom melting. So this corresponds with what we are seeing with the sun & unusual weather. Fortunately, our planet still remains the same distance from the sun. Texas always had a dry heat but I’ve been seeing humidity levels consistently above 89% every day in June. It is 90% as I speak at 5 AM July 2nd. I have a digital wireless weather station to track conditions, temp, humidity, barometric pressure, wind, rain levels, etc. The top of the photo is true north. The red lines indicate the sunrise & sunset positions from DFW Texas region on the June 21st summer solstice between 2006 & 2013. 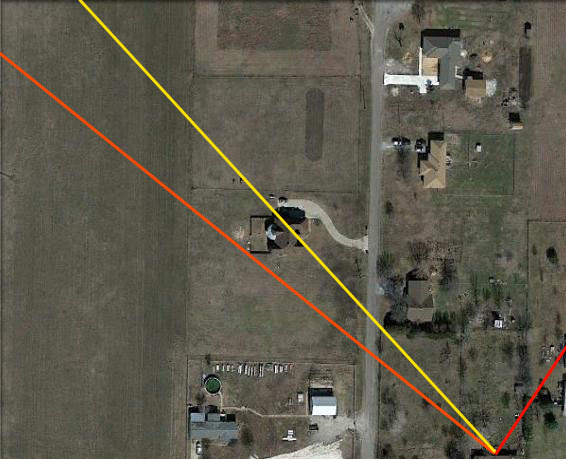 The yellow line shows the new sunset position for June 21, 2014. A significant change for the worse. Although the sunrise also increased exponentially, the daily morning high fog obscured the view for precise sunrise measurements this year. But once the southpole ice depletes enough to reduce its function as a gyroscopic anchor to balance the planetary axis angle, the planet will slip onto its side with the poles horizontal (east & west) and the equator vertical (north & south). Earth will not flip upside down because there is insufficient landmass or land based ice weight to invert the planet. Only the heaviest point will rest at the bottom. As the south pole ice melts, it pulls the planet onto its side where it is the next heaviest & widest. Earth is currently near the tipping point where it wont take much for the planet’s axis to make a sudden shift the remaining distance onto its side. Once our axis slips our planet onto it’s side one pole will suffer bitter cold & 24 hour pitch darkness during one 3 month season as it points directly away from the sun & sweltering heat with 24 hour blistering sun at the other pole pointing directly at the sun. The conditions will reverse during the opposing season. The other middle seasons will still be similar to current norms despite horizontal polar regions although we will rotate toward the north instead of toward the east. It will look close to normal from our perspective even though we would be rotating vertically toward the north. To us, it would still seem to rise in the east & set in the west. But the two seasons where each pole points directly toward or away from the sun will be dramatically different depending on your position on the planet which will determine the intensity we each will endure at our respective locations. Whether you agree with my analysis or not, the one thing beyond dispute is the fact that the sun should never be rising or setting to the north of Mexico; much less, north of the US. It should never be north of the Tropic of cancer in mid Mexico on Jure 21st the summer solstice and longest day. Nor further south than the tropic of Capricorn in South America on Dec 21st, the shortest day. (from a US perspective). A lot of effort has been made by the powers that be to salt the internet & documentaries with paid experts with contrived explanations to make it seem normal. But all you have to do is look out your window during the summer to see the sun rising & setting to the north. Depend on your own eyes & common sense to know this is wrong despite any efforts they employ to make you disbelieve what you see. The one thing they cannot do is hide the sun. It doesn’t look real to me. Looks more CGI. However, there is a large chunk of ice the size of Delaware on Pine Island of the south Pole which was above the new volcano which was getting ready to break off. But that chunk of ice on that video is too perfectly square to be natural and too flat and smooth on top to be real. Also, how was the photo taken? Delaware is about 100 miles long and 30 miles wide. I used to live there many years ago. Although it is a better photo it looks photo shopped to me. It still has an artificial gray surface like Google earth uses to reduce ice glare and straight sides on a perfectly rectangular piece of styrofoam which has been precision laser cut. It doesn’t look like the other overhead view of a broken ice shelf. Ice does not break in straight lines like a crystal or diamond. It looks like they modified a photo of a plane flying over an ice shelf and pasted in a CGI image of a broken shelf and photo shopped it for their story. It just doesn’t look natural. But I have no doubt there must be a real broken Ice shelf plus there is that Delaware sized chunk of ice breaking away from Pine Island as well. Those should be good for a sizable axis shift and tsunami when the loss of that ice weight at the south pole kicks in and our gyroscopic anchor weight changes. One ton per cubic meter of water. Is ice heavier? That’s not something I’ve looked up. A prelude to the monthly tsunami’s we’ve been seeing. I guess we’ll have to wait another week to see the 2018 strange year events part 14. I did find the one for last year this month in 2017 where my former home area was destroyed by a horrendous firestorm with terrible winds They lost everything. Nothing but ashes if they were lucky enough to escape. Over 8900 homes and 200,000 acres in the middle of the night when everyone was sleeping. 44 dead. It burned every new subdivision but bypassed the pre-existing homes and burned right up to my former property line but left them unscathed. Probably the subdivision used wood shake roofs, wood burning stoves and dry wood exterior siding with the dead grass from the summer dry season and dried landscaping from lack of rain. The rainy season there is in the winter. They also had wooden fences of those subdivisions. Everything was dry wood. But I can’t see how the fires connected from one area to the other. The developers drove us to move out of the area by building those subdivisions. Interesting that those were the only things that were destroyed. I posted that video on the newest post about bizarre weather, animals and subsidences. 2017 part 14. Strange year. I also pasted it below. The fire video was shocking. I can’t believe no one told me about it. I lived in Santa Rosa for 13 years before those subdivisions existed and my son lives just to the south. This is the video of the fire below. They say it was the worst fire in California history and took 23 days to extinguish all the fires. I also looked it up on Google earth. Shocking. A year later and almost no rebuilding. People lost everything. This is a good example of the need for emergency preparations including supplies in the car. These people only had minutes to escape. It reminds me of the Oakland hills fire around 1991 also in October. This is one of those disasters I warn about where no one has time to stop. They lost everything and had to run for their lives. But I suspect many were sleeping. There was nothing left literally. More than one case of people shooting themselves over their losses. They didn’t even have time to get their pets or put on clothes. Some died because their cars were on fire. If I hadn’t moved to Texas I would still be there. On Google earth there is nothing of the city subdivisions except thousands upon thousands of empty lots with nothing but dirt. They must have bulldozed away the debris… if there was any. These are just one of the catastrophes we will be facing in the next 2 years. Storms, floods, heatwaves, fires, hail, ground tears, quakes, tsunamis, mass whale, dolphin, manatees, birds, fish and insect deaths and animal suicides. Watch those 14 videos I posted of the past 12 months. You wont believe it. I know I listed emergency kits on both websites but I found a book I bought about 12 years ago which has even better ideas than mine. It is Called “Emergency Food Storage and Survival Handbook” by Peggy Layton. I probably bought it on Amazon. This is an excellent book and has lists of things to put in your car and your house and how you can store foods and what foods to store. I also have books on edible plants and natural medicine and other things in case we end up without infrastructure and living like pioneers. Those fires turn into fire tornadoes which violent winds of flames. Be sure to watch the first 8 minutes of the video to see what this looks like. I realized when I was rambling on about the photos due to the artificial look of the ice shelf section which had broken off, I did not mean to make it sound like I had any doubts as to the veracity of a genuine ice berg. I am quite sure there is a genuine giant section of ice endangering the shipping lanes as it floats away from antarctica. I was just obsessing on details that it looked like the news service had created a photoshopped picture to go with their story. I didn’t want you to stop sending the great stories and links. I just got carried away with the photo. I was expecting the Delaware sized iceberg which has broken from Pine Island but not from this shelf so there are two of these enormous chunks of ice as well as the loss of that ice weight. When cubic water weighs a ton, then those ice sections are massive hunks of weight from antarctica which may result in a major shift within the next 30 days I would suspect. So it is very important to know about this and I shouldn’t have made such a big deal out of the photos. I work with photos and satellite images for 25 years as a hobby and it just caught my attention. Please keep sending the links and info. They are of great help. honestly I believe its all because the un renewable mass we remove is having a huge impact on the planets weight . with the planets weight changing and because of our un balancing extractions or uses of these non renewable resources earth is either going to be so light it will eventually end up in another objects orbit from a perpendicular force attracting us or something on the same line will catch up cause we lost our velocity due to the decrease in mass. also thirdly new idea ..if the weight changes so drastically instead of tilting a lil bit each time eventually perhaps pieces will break off completely in stead of these already major devasting fractures which relativetaly speaking is proof of what could really happen. Just consider the continent of Antarctica is larger than the entire US and Canada combined and the ice is over 2 miles deep. That is a heck of a lot more weight and volume than anything on the scale which humans could displace or build. To understand just how much weight & pressure is being exerted by the weight of glaciers miles thick can make… often the land will raise up in elevation after the ice has departed. Glacier movement also carries a large amount of rocks larger than houses and can shear the top of mountain ranges as they cut across the landscape. The great lakes and Ohio valleys were formed by Glaciers. The amount of weight produced by the Antarctic glacier ice is equal to or greater than the continent itself. Think of it like placing a rubber ball into a bathtub and adding silver dollar flat weights in various locations around the rubber ball to represent the balance and tilt of the axis. The south pole would be the heaviest due to the huge amount of ice over the land mass miles deep. The second heaviest region would be the equator because the earth is slightly bulged larger at the equator. North pole is the lightest weight due to lack of land mass. The south pole weight acts as a gyroscopic anchor which balances the planet in the original tilt we had before the shifting occurred. This occurs with the rubber ball in water depending on where you place the weights. Once you start removing the weights at the south pole end of the rubber ball, it allows the tilt to shift in the water due to other lesser weighted areas. Once it reaches the tipping point, it is going to roll over onto its side and rotate horizontally on the axis. There are many things which affect the weight of the land masses including the depth of the rock strata and types of materials at those various locations (granite, iron and lead are heavier than soil, etc.) The crust is thinner at some locations and the molten core also changes as various volcanic activity allows displacements of the magma thus shifting the position of the heavier pools of molten magma (think of a Lava lamp and how the melted substances move around as they continue to the heated). However, while major displacements of materials such as digging out the Panama Canal or the huge copper mine in Utah or removing billions of gallons of oil from underground deposits or removing billions of gallons of water from underground reservoirs, or adding massive amounts of concrete, steel and rebar to cities or those thousands of miles of tunnels we have bored underground to connect all the USAF bases and underground shelter cities and key metro areas for the elite and politicians would still be a drop in the bucket to the weight of the miles depth of glacial ice being lost at the south pole… like covering the entire US and Canada under a 2 mile thick glacier (or more). Chunks of ice the size of Germany have broken off or slid into the ocean at alarming rates. As the ice depletes from the land, it changes the weight and distributes into the global oceans as it melts. According to the experts, the melting of all the glaciers will raise the sea levels by 297 ft. which is equivalent to a 20 story building. Greenland ice alone would raise the sea levels by 29 ft. If you want to see some really disturbing images, go up on Google Earth and zoom into the edges of the south pole ice and you can see how it is breaking apart and flowing into the ocean on a massive scale. What should really be of concern is the fact that the most recent images of this ice shelf collapse are all dated 1998!!! So why are they not letting us see the current imagery? That was 17 years ago! Talk about cover-up… showing us only images of the south pole which are 17 years old??? I shudder to think what it looks like now. What are they hiding from us on the satellite images? The same is occurring in Greenland as well. Scientists are especially concerned that the reflectivity of the ice has darkened over Greenland and Antarctica and is showing severe melting underneath the glaciers which result in the sudden movement and dumping of the ice into the ocean in just a few months rather than the normal thousands of years. Another problem is the gov’t has the scientists exaggerating the timelines to give the public a false sense that it won’t happen in their lifetimes or for hundreds of years. Spoon-feeding fairytales to keep the economy flowing. We can’t have all of those elite going broke and losing their seats in their precious public tax subsidized shelter under Denver. So they spin false info to keep the masses ignorant and happy. Plus the distraction of techno gadgets and access to drugs and personal entertainment to keep the masses too occupied to pay attention to unpleasant things like global calamities and political corruption. So it wont take much more with our planet already at the tipping point for it to take that final sudden shift onto its side, rotating horizontally. Thus, we should not expect for all of the ice to melt before this happens. One more large chunk of ice could be the final catalyst to set off this final axis shift. Our leaders and their good ole boy buddies will all be in their shelter without a word of warning to the public. We will only know when monster tsunami’s flood the continents. It will take hundreds of years for that deposited water to evaporate after the tidal surges. It can takes weeks just to evaporate a puddle in your yard… so imagine how long it takes to evaporate water which is hundreds of feet deep as it once was over Nevada, Utah, etc. I suspect that is how the salt lake and groom lake areas were created. After the bulk of the water drained and evaporated, the final remaining pools containing the concentrated salt deposits were located in those areas. A result of hundreds of years of evaporation after a tidal surge deposited a sea of water into our continent subsequent to one of the 11 previous axis shifts one scientist mentioned in 2008 after finding layers of tropical plants at the poles and glaciers at the equator. So disregard any timeline projections you hear from official sources. Those are intended to placate any public concerns. What you should be concerned with… in addition to the recent increases in the axis shift… would be the frantic speed at which the gov’t has rushed to complete their shelters and the rapid boring of additional bypass tunnels which are causing massive ground subsidences across the country in epidemic levels in 2013 alone… not to mention their 2009 warnings about massive shortages occurring in 2020. That tells us they are in a hurry and are expecting a calamity to occur in the very near future. As it is, we are already past the halfway angle of 45 degrees and just a breath away from that final shift onto our side. Perhaps just one more large ice shelf collapse will be all it will take? Since I don’t have access to state of the art equipment, I have to take measurements the old fashioned way and I can only make a SWAG as to the timelines based on the conditions, axis slippages and the comments and behaviors of the gov’t entities… and it seems to be indicating the final shift will occur alarmingly soon. Even the scientists claim the Thwaites Glacier collapse should have taken thousands more years… so that should tell you something about their forecast dates… they haven’t got a clue as to the alarming rate of glacier collapse… because those thousands of years have become reality right NOW. Just take a look at the images on the first link below. This was last year 2014… and if you remember, I told everyone there was another significant shift of our axis which occurred between June 2013 and June 2014… which we are now paying for in severe winter storms which I repeatedly warned about. I will probably create a regular post about the south pole ice… but here are some links about the melting of the South Pole since I cannot post images on this type of reply. I did attempt to embed one below. Most people don’t realize that higher ice generation in warmer weather is a sign of sea with with low salt levels. Plain water without salt freezes faster. So this tells me there is severe melting diluting the oceans. Spinning is also a bad sign of abnormal planetary motion. The same abnormal motion causing all these tsunamis. Check my latest post from about an hour ago. I noted that the subsidence cracks above the TBM tunnels are probably opening up due to that same abnormal planetary motion causing the tsunamis. I just found 3 more tsunamis in Jan, Feb & April 2018. This is in addition to the Aug 2017 “Oceans in Opposition” tsunamis. No wonder we are seeing the sun farther north in July 2018. Our axis & orbit are truly screwed up. If we were laying on our side, it would still look normal to us except in Summer & Winter. Depending upon which direction we rolled. But it should point to the some direction due to the magnetic & gravimetric fields in the galaxy which keep everything centered & aligned. As with any magnet, 2 norths repel. The plane of the ecliptic is why an orbiting moon or planet remains centered as it orbits the planet or sun. Due to North / South magnetic characteristics of attract & repel, only at the center equator can those planetary bodies remain in their orbits without being repelled. If our planet was too high above the ecliptic plane, the southern hemisphere would magnetically repel. So if we shift too far, the molten core would rotate to match the surrounding magnetic fields of the body it orbits (even if we shifted). Like stirring soup. The sun & solar system would continue to be aligned conform to the galactic magnetic fields. The planetary core is literally a liquid magnet. Pressure & rotation keeps the iron content molten. If a planet or moon doesn’t rotate then the core cools such as our own moon. However, any changes or reactions on such an enormous scale as a planet would occur much slower than what is normal to us. What occurs in minutes when handling small magnets could take years or centuries for a planet to make similar changes. I used to live in Delaware. In regard to the size of the iceberg glacier, Delaware is about 30 miles wide by 100 miles long as memory serves. Nice State. On the new Maps, you can bet they wont let us see details they want to hide in Antarctica. Well, all of the data shows the earth righting itself from 26 degrees from like say 4000 BC since the Egyptians measured it. Ok so we have a marker most agree upon at 23.5 degree axial tilt with regards to an upright perpendicular to the ecliptic plane of orbit. If the earth is going more upright, this will explain a more northern sunset year round, summer or winter will not matter. The seasons markers are still there. This equates with the high relative increase in northern hemisphere temperatures over the last say 110 years, and the melting of the northern ice caps. It equates with longer daylight seasons in the northern latitudes. If you look at a graph I found, the uprightness of the earth in perspective to the ecliptic and the equator, you will find somewhere an upwards curved graph. The relationship was described as exponential proportions. In other words it goes upright quickly from a certain point and continues to increase. The fact that I am seeing this in my lifetime is actually extraordinary and I do not discuss with many most do not believe I have any right to say this. 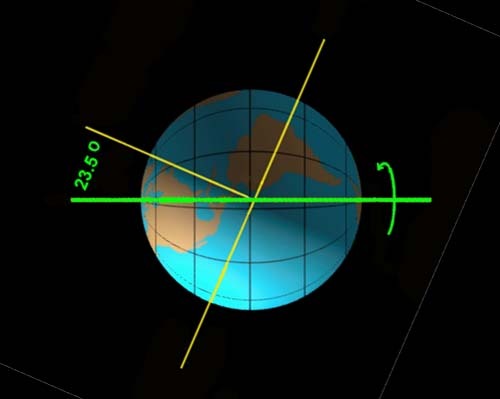 The picture I see far above of you showing the earth laying on its side in relationship to where we are and where we were in the axial tilt ideas about the earth demonstrate to me that the pictorial is backwards. The earth should be headed to a more perpendicular plane, not headed downhill, or tilted more. I realize anything we are talking about here is pure conjecture without certain accolades, degrees, peer guidance, similar studies but, over time it may soak in. When looking at the climate change data globally, I only see one anomaly that occurs over South America. I believe this is due to the tremendous deforestation and constant burning of the Amazon forest perhaps. The tilt is less now than it was 5000 years ago, and on its trek to right itself, the northern hemisphere will continue to warm for the most part. Thanks. Unfortunately, if that were true, there would not be any seasons at all and the sun would be in a static position over the equator year round. We would be better off if it did… but this is not the case. The planet is not uprighting itself which is why the sun now alternates from approximately 2000 miles too far north in the summer and 2000 miles too far south in the winter. It is the tilt which causes the seasonal changes as earth orbits the sun. The shift increase after 2004 had been about 1200 miles slippage in each direction and remained that way until 2014 when the slippage had increased to about 2000 miles. (Distances are a SWAG based on sightings from around the globe). We can only get a close approximation since we are manually measuring based on line of sight, position on the solstices and latitudes. The question is whether we have slipped further since last year and when it will shift the rest of the way onto the side. What concerns me are the signs of an ancient flood above 13,000 ft elevation at Puma Punku. Will the final shift cause ocean tides to go that high? Seems incredible but they have the fossils of sea creatures at that elevation… and the sudden abnormal movement of the planet causes Tsunami’s in which the wave intensity & destruction is based on the severity of the abnormal shift of the planet. So will that last shift actually create waves that high? However, it does appear that the shifts are producing tsunamis which are headed in a north westerly direction. Hence the south and east coastlines have been the most vulnerable. Back in 2008, there was a scientist who said the planet has shifted onto its side 11 times in the past, based on their tropical findings at glacier locations and evidence of glaciers at equatorial regions… so this is a cycle (which we sped up with our mismanagement of the environment) and according to the way they found mammoths and other creatures suddenly frozen while eating, it implies that final shift will be sudden and without warning. Despite the fact that many of us are above the top sea level elevation increase of 297ft if all the glaciers melt… we wont have much of a chance if there are tsunami’s on the order of 13,000 ft like fossil evidence shows in south America at Puma Punku. That may explain the evidence of seas across the US Midwest if they were deposited from tsunami’s of prior shifts… and it also explains why our gov’t has chosen the highest possible elevation for their ELE shelter under Denver. Perhaps there was a reason they made that movie 2012 showing a global flood? There is a recent comment regarding shadow lengths which I will not be posting because of the many efforts by G20 pitbulls who have been sending out their attacks dogs to silence our concerns. I wont let that happen on here. It was a good comment, polite & well written but made erroneous assumptions about shadow lengths which we would need to measure on the summer solstice to confirm. At this time of year, the sun is in a more normal position because of the rotation position & angle as we orbit the Sun. During Spring & autumn, the sun would be in a normal position which makes this is an ideal time of year for someone to attempt to whitewash our concerns. Where we see the drastic differences are in Summer when the sun is too far north & in winter when it is too far south. So that comment will be held off post until June 21, 2015 when we can prove it to be erroneous. Thus, to be prepared, I would like everyone to measure the shadows on Dec 21, 2014 and June 21, 2015. We will need to know the exact height of the object (you can use a pole) casting the shadow & the length, direction & angle of the shadow it casts at high noon on those 2 dates. The sun here in Dallas actually casts a shadow to the south at high noon which proves the point that the sun is far north of where it should be. Not to mention the fact that the morning & afternoon sun is glaring through our northern windows each summer when it never did in the past before 2005 & before the major Indonesian axis shift of Dec 2004 which killed a quarter million people along the coastlines from Thailand to Africa. That 2000+ mile wide tsunami was indicative of the southern shift of the entire planetary axis which has caused the sun to now be too far north in the summer and too far south in the winter. Our weather has also changed accordingly. Almost all of my fully grown trees are dead from droughts and ice storms caused by the axis shift. Our area has been on 3rd stage water rationing for at least 8 of the past 10 years. 2014 was the first year we actually had rain in the summer because we are now shifting into the tropic rainforest latitudes where the humidity is high and the temperatures usually don’t exceed the 90’s despite being farther south. I also spent a couple years in central America so I’m very familiar with tropical climates. This commenter who lives in the arctic circle in the upper UK & had made the comment that we would notice colder winters & shorter winter days if the sun was out of position… which is exactly what we have been seeing since 2005; if he had taken the time to read our other post headings. You can also go up on Fema’s website to see all the unusual blizzards & ice storms which have caused major winter damage to the US since Dec 2004. You can also see the news reports about the bizarre heat spells which have stuck England since Dec 2004. Increased precipitation has occurred due to the increased melting of the polar ice. Satellites have also measured a significantly decreased reflectivity of the ice covering Greenland as it has become subjected to significant melting at the base of the glaciers. Divulgence.net has some of these global weather articles & Fema reports. In just one summer day, over 600 people died near London from excessive heat. I was in London & other areas of England more than once before the axis shift. Their weather was cool, damp & foggy in summer much like the northern coast of California in Sonoma & Mendocino counties just 20 miles inland where I lived for 13 years. No one had air conditioning because the weather barely made it into the 80’s inland for just 3 weeks on one of their hottest summers. Usually, we were lucky to reach the low 70’s by early afternoon but after 4 pm to 11 am in the mid summer, it was below the low 60’s. We were chilled to the bone & wore jogging suits to stay warm during the summer months in northern California just 60 miles north of San Francisco and 20 miles inland. But on the coast such as San Francisco & in England, the temperatures never rose above the 60’s. England also has the chilling winds. But since 2004, London has been hit with heat spells & many people have died because almost no one had air conditioning prior to 2004. The London heat spells were even depicted on the Harry Potter movies. It became so bad, that the government set up a website to help Londoners fight the global weather changes with green roofing, shade Trees, etc. Another comment that post had made was in regard to the sun circling & never setting at that north arctic latitude in the upper UK where he lives. For those of us old enough to remember the 50’s & 60’s, etc., at that time, the sun in the arctic circle latitudes used to drop below the horizon for 4 hours near midnight during the summer Solstice each year but never got completely dark & created a sunset type of twilight during those 4 hours but the sun did dip below the horizon. I have friends in Alaska & Canada who are old enough to remember as I am. Plus we studied this in school at that time. Those who are under the age of 30 would not remember the behavior of the sun when it was normal so they cannot understand or know the difference from the changes. So the very fact that he said the sun was circling & never setting during the summer clearly shows how much farther north the sun position has become in the past 10 years. This person is either very young or has poor memory of the sun’s behavior prior to the axis shift. I had also noticed this issue in the documentary about the movie “Oblivion” which was filmed in Iceland. The documentary about that film had shown how the sun in Iceland never dipped below the horizon. (flat horizon; not the mountainous areas which obscure the results). This is exactly some of the changes our axis slippage has brought about and we were able to see the results in their documentary. The arctic latitudes now see the sun completely above the horizon during the summer & never dipping below the horizon as it did for 4 hours in the summers before 2004. This is a perfect time of year for someone to attempt to dispute the position of the sun & to create confusion because we are currently at midpoint between the summer & winter solstices. The current Autumn & spring midpoint positions of the sun, are the very same midpoints we had prior to the Axis shifts. It is the summer & winter positions of the sun where we see the dramatic differences of the suns position since the most significant axis slippages began in 2004. We are indeed seeing the very significant weather changes in Winter & Summer as he stated as well as the differences in the length of days during the summer & winter as compared to decades past. Apparently, someone did not read our other post headings about our observations & the changes we are seeing. We can expect as much honesty from our govt’s about the axis slippage as they have shared about Ebola; telling people it wasn’t airborne & how it was no big deal any more than the measles just to prevent businesses & the infrastructure from collapsing by the consumers avoiding public places. The hospital alone has lost over 80% of its business & that is saying something because it is a huge hospital. They are spewing lies & treating the potential epidemic by pacifying public fear as if it was a simple cold & are now hiding names of New victims. You will no longer hear about any Ebola victims. They will try to keep it from the public if any new victims appear after having seen the reaction to the first ones in Dallas. Although we are over 50 miles away from that area, my own doctors are incensed by the lies on the media & frightened because they are on the front lines of exposure to sick patients. The doctors here are outraged that they would broadcast such false propaganda about a deadly plague & handle the situation with such gross negligence and flippantly allow exposed medical workers to travel about the globe without any consideration for the others they are exposing and covered up by splitting hairs on the degree variance of a fever… all to protect the local businesses & infrastructure from collapsing. Our gov’t can’t have anyone avoiding the shopping malls, restaurants or canceling surgical procedures & bankrupting the local businesses. According to them, you are not infectious with a 99.8 degree fever but are with a 100.1 fever. This is what I mean about splitting hairs. Those health care workers also knew their exposures but their personal entertainment was more important than the welfare of the public whom they exposed. Then there are the schools who receive well over $100 per student, per day of attendance from the gov’t who stand to lose that precious income should the students fail to attend. Plus, there is no excuse for medical professionals placing the public at risk when they were knowingly connected to a plague victim. My doctors are angry & afraid of what else is being hidden now that the gov’t has gagged the media with false info to pacify the public and making victims anonymous so anyone who was exposed would not be aware of their danger. Any bacteria carried in body fluids is ejected into the air whenever the person coughs, sneezes or simply talks. The coughs and sneezes can propel these infected unseen droplets over 20 ft. The healthcare workers should be in full body waterproof hazmat suits with positive air hoods and filtration and subjected to a bleach shower disinfection upon leaving the patient’s room before removing their suits, otherwise the bacteria on the exterior of the gear and gloves carry the deadly contagion. The patient should be inside a plastic tent to prevent the spread of infected droplets expelled into the air. Preferably, in a separate, isolated contained unit. The gov’t has instant hazmat buildings they can erect overnight with these types of isolation and decontamination gear and disinfecting showers to handle such infectious patients. Even I own a CDC full hazmat suit. But they have failed to provide them to the hospital workers involved with those patients. And why are they being flown to various locations instead of just one location in Atlanta near the CDC? This just endangers more people in more locations. A prime way to spread a plague across the country in multiple locations. This is a prime example of just how much you can trust what you are being told by our gov’t and media. The point is… when our gov’t keeps the public completely in the dark about such serious issues… you cannot believe a word they say about the axis and the sun. It might cause people to stop shopping and affect the business economy. That is much more important than keeping us informed on the truth or giving us the opportunity to prepare for these calamities in advance. Don’t just blame this Administration. The previous Administration was even worse. All of our leaders have been bought and paid for by the Corporate giants who run the world. So don’t expect the next one to be any better. Party doesn’t matter. This includes the leaders of foreign countries. They control most of the world. Even if a President wanted to tell us the truth, they would be shut down just as Carter and the Kennedy’s were or Clinton with the blue dress scandal. Our leaders are only figureheads under the control of corporations and powerful wealthy factions. If they step out of line, they are dealt with by those who are really in control. When Ross Perot tried to break through the control, his daughter and family were threatened with violence and he backed out of the race to protect his family but they tried to make it appear as if he had gotten cold feet. But I heard him describe how he and his family had been threatened. So, just look out your window in the month of June and you can clearly see the sun rising and setting quite far to the north. This is one thing that they cannot hide from you. Nor will I allow their minions to use carefully timed efforts to cover it up and explain away this situation with inaccuracies which do not apply to the positional changes during the summer and winter months. Or inaccurate assumptions by someone who is not located in the most affected areas with the intent to cast doubt and confusion on issues they have not seen from our vantage point. However, we won’t ignore this issue. We will address it accordingly at the proper time of year for these measurements. 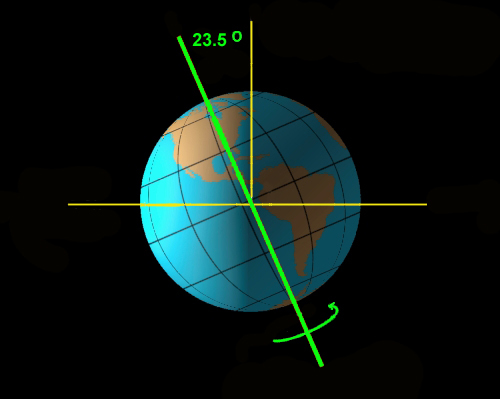 Everyone should measure the exact height of a pole or object and the exact length, direction and angle of the shadow it casts at high noon on Dec 21, 2014 and June 21, 2015 and provide your geographic location so we can use that as a guide. The town or the county and state or country where you live in will be adequate for location info. We don’t need exact addresses. Just the general vicinity to determine latitude. These are the only 2 days which matter. The one in June is the most important for those of us living north of the Equator. In Texas, our June shadows are cast to the south because the sun is too far north when it should never be north of the tropic of cancer in mid Mexico. Thus, we should not be casting shadows to the south or seeing the sun rising and setting to the north at any time. Especially not on the summer solstice. The comments from that post actually helps us prove the point. I did the measurement of the sun on June 21st (or maybe 22nd) of this year (2014), and I will do this for you again on December 21, 2014 and June 21, 2015. I am living in Salt Lake City, Utah. I’m sure you remember my comment from a few months ago. Thank you, and God bless you. Thank you. I do remember. Also see if you can measure the lengths and direction of the shadow and height of an object (like a pole) at noon on both of those dates (standard time, not daylight savings) in addition to the angles of the sunrise and sunset in Dec and June 21st we might be able to start tracking the percentage of changes occurring. It would also help us to see if there is a significant wobble at midday as some have suggested. With your measurements, this past year is the first time I had seen a significant change of the sun angle farther to the north since 2006. I mentioned at the time we were going to be in for a really cold winter this year… it seems to be coming true and the bizarre cold weather also occurred a lot earlier than usual. I knew if we were farther south in the summer, that also means we are farther north in the winter… so we are seeing the evidence of this in the increased cold weather. However, I was quite surprised to see the increase this past year. Only small shifts have occurred since the big one in 2004. So we had been fairly stationary in our new position until we measured last June 2014 and saw the unexpected increase which had occurred. A lot of people had listened to the hired attacklings who were claiming it was perfectly normal to see the sun to the north during the summer. That is only true if you live in the southern hemisphere like Australia. I am impressed at the numbers of other people who have begun to follow our concerns over the extreme weather increases we are seeing which are directly associated with the positional changes we are measuring. Quite a few people have linked on just in the past couple weeks. Everyone can go back and look at our comments from last June and July where we talked about the increased cold winter we would be having this year due to the new increase in our position just over the past year. In the summer, Texas is turning into the tropics with high levels of humidity due to the increased melting and evaporation of the polar ice and our increased position into the tropical zone now that we are further south in the summer. I was actually glad to see the increased rains in the summer which we never had prior to the shift and it will also help moderate the temperatures into the 90’s like typical high humidity tropical conditions. But I’m not happy about the increasing severe cold which we will see this winter. I told one of our commenters in Panama, that he is at the best place anyone could be and above the rising sea levels as well. I used to live there myself many years ago. We would all be down there if we could. The central American zone between the tropics of Cancer and Capricorn will have the best chance of survival if we should shift any further. But no matter what tactics the gov’t attack dogs use to make this seem normal… they cannot hide the sun. But they are sure trying to convince people it is perfectly normal. Especially those who are not old enough to remember the sun never, ever rose or set to the north in the US nor ever shown through our north windows as we now see in the summer. Although, I hope it doesn’t get any worse within our lifetimes… I recently took a look at the southpole ice and Greenland and didn’t like what I was seeing. Huge new sections of ice are breaking away or sliding into the ocean. Enough ice to cover Mexico can be seen freshly broken away. The biggest shifts usually occur between Dec and Apr when it is the warmest at the south pole and the time when the most ice is lost. The more ice is lost, the more we shift until we reach the tipping point. If the worst should occur… head for central America away from the coast, at elevations above 300 ft and preferably away from volcanoes, rockslides, mudslides, floods, areas prone to earthquake damage and giant tidal waves (Tsunami’s). Perhaps a high interior valley above 300 ft and away from the base of mountain slides and away from any possible volcanic activity… including those seemingly dormant volcanoes. Also a location that has a mountain fed fresh water source because all the ground water will be contaminated with the rising seas. You will also need to be able to grow food. That region will have the best chance of survival. But it won’t become an issue unless we do reach that tipping point. It isn’t quite time to panic yet. I don’t know how many years this will take although gov’t estimates lead me to suspect around 2020. But, have a plan and supplies prepared for emergency evacuations and a route of escape to use before the borders are closed. There are only a couple hundred of us on this site… so there should be plenty of room for us in that region should the unthinkable occur. But we may be lucky and it might not occur in our lifetimes… hopefully. I’m looking forward to comparing our solstice measurements. Especially next June. But our winter measurements will help shorten the intervals of detecting any additional changes. Especially if we include a noon shadow measurement of a pole or other object. Meanwhile, bundle up. We are in for a cold winter. This is the reason why parts of US Europe etc are experiencing arctic air and the so called polar vortex and are going to do so every year from now on and the whole world experiencing weather extremes. Scientist are using the shift in the actual pole to measure the amount of ice that has melted. The Headline should be, THE MELTING ICE HAS CAUSED THE EARTHS POLES TO SHIFT. I agree. I’ve been saying the south pole acts as a gyroscopic anchor which maintains the balance & angle of the axis. The more the south pole ice melts, the more the axis slips until we end up sideways. There is not enough weight at the North pole to flip us upside down. Only sideways. This change in axis is also why the magnetic north has been moving. Not the reverse as some people believe. The authorities have been using chem trails worldwide to cool the planet & promote rain for the past decade. You can find the websites & info about Project Spectra & project Heat, among others, on those official websites of the govt contractors & licensing divisions. But these aerial sprayings of chemicals are costing us a fortune & poisoning our water & crops with aluminum compounds & the SF6 they use is thousands of times more damaging to heating up the air & climate than CO2. They have also used methods to widen river outlets & build up beaches, drainage, etc in a project with 9 other countries to control & hide the effects of rising seas. However, unlike other countries such as the UK, which have enlisted the help of informing & guiding their citizens on ways to fight the heat & weather changes with landscaping, shade, green roofing, etc., our county chooses to bury their heads in the sand & lie to the population about the situation. Corrupt corporations & energy companies run our country & control our politicians & most other countries across the globe by either making them dependent or in debt as well as controlling who is groomed for political office. In this way, they are allowing Carte Blanche industrial pollution of the Air, water, land, foods, Animals & people without any restraint. As long as we allow corporations to control our politics & pollute without restraint, there is no hope in saving the planet from this terrible fate. In fact, they are accelerating the process & will continue to pillage & plunder the planet & its resources to the very last day. Then these very crooks who caused the situation will retreat to their underground facilities built with taxpayer dollars & stocked with ill-gotten supplies intended for FEMA & Red Cross so the worst dregs of our society (corporate heads, crooked politicians & the elite) can survive in relative luxury while leaving the deluded citizens to fend on their own & die from exposure & lack of supplies. We can prepare for our own survival from potential cataclysms & teach our descendants how to do the same because no one will help us. They will only corral & control & eliminate survivors. They will help us just like they did in Katrina. If we thought Katrina, the 2004 Indonesian Tsunami and the nuclear power plant destruction in Japan was bad; the forthcoming shifting planet & rising seas will make those incidents seem like a walk in the park. It is only a matter of when. Gov’t statements of predicted shortages indicate they believe it will occur around 2020. Scientists reports say 2050-2150 & minimize everything. Carefully worded & orchestrated so the public will disregard any concerns. But remember, all scientists are tied to gov’t funds & projects for their salaries & careers. Including universities which all depend on grant monies. So the scientific community doesn’t dare bite the hand that feeds them. It is unfortunate that the population will remain oblivious to this situation & will do nothing until the last moment when it is too late. If they had joined together in clamping down on corruption & pollution, we might actually have a chance to stave off the shifting axis, melting ice, rising seas & global cataclysms indefinitely. But they would rather remain oblivious to the looming situation which endangers us all. Therefore, since the public won’t take action to clean up the politics & corporate corruption & uncontrolled pollution of the planet, our only option is to make preparation to help ourselves or our descendants survive such a disaster. The public needs to be educated & informed to understand the severity of the problems, instead of blindly following like the cattle standing in line at a meat processing plant. This could easily occur within the next 10-15 years. It is better to be prepared than not. However, the highest danger will be from other victims who did not prepare or from friends & neighbors who know you made preparations. The starving millions will become like wild rampaging animals who will destroy anyone & anything to take what they have. They will first target the agricultural areas, farms & facilities storing food & medicines. But the terminator seeds & GMO alterations of crop DNA will ensure the crops cannot be replanted for lack of viable seed production. So even if there are areas where crops can be grown, most crops can no longer provide the percentage of viable seeds to replant the following year. Thanks to Monsanto. Remember the Twilight Zone episode “the Shelter” where their best friends & neighbors who laughed at one neighbor for building a family shelter, turned into a violent mob & battered down the door of his shelter. This is actually the worst danger of all in a disaster situation. Just remember how people acted during the NYC blackout or the Rodney King riots in LA or Katrina. Keeping any personal preparations & shelters a guarded secret is essential to survival as is preparing for defense. It is best if the shelter cannot be seen if hordes begin seeking supplies & shelter & why no one should know about your preparations from any of your family members. If people would work together small groups to prepare, we would have a much better chance of surviving. If we are fortunate enough to not experience this pending cataclysm, your children & grandchildren can inherit your preparations if they are properly educated on the importance of these issues. The most difficult task will be getting your family to believe & take the situation seriously. I’ve heard some people complain their sundials no longer function accurately due to the changes. I don’t have one but it would be interesting to see. It would probably work fine during spring & autumn but the summer & winter would be where the extreme changes affect us the most. The ancient civilizations definitely had to deal with changing weather patterns, harsh winters, rising seas & desertification. Cleopatra’s palace is underwater due to the melted glaciers which once extended half way across the US covering all of Canada. The sea levels were much lower before all of those glaciers melted and a lot of coastal civilizations & islands were lost. The only way we would see those former coastal areas again would be with the occurrence of another severe ice age which spread glaciers deep into the US. It would also take many eons of severe cold to form such deep glaciers… if ever. Due to the increase in the axis, we are definitely in for a cold winter this year thru the cold months at the onset of 2015. Where we are farther south in the summer, we are farther north in the Winter. Even more this year. What ice we gain during the severe winters is quickly lost in our overheated summers so there is no chance to restore what we lost with our current axis slippage. Our best option is to maintain status quo with Polar ice & hope the ice loss doesn’t get worse & allow the axis to slip farther. Just last week it was 102 one day and the very next day the high was only 62. 40 degrees in 24 hours & dropped into the 50’s during the night. As we tilt farther into the tropic region & the Polar ice melts our humidity has really increased during the summer months. This will also increase our precipitation. More summer rain & flooding, more winter snow, blizzards & ice. From the additional increase I’ve seen in the solar position this year, I think we are in for a terrible winter. It seems the weather predictions also agree with that assessment even though they aren’t allowed to say why unless they want to lose their meteorology licensing. A few years ago when I first noticed the unusual new appearance of spiral weather patterns over the US each Spring (which were similar to the same patterns we see forming hurricanes) one of the weather channel meteorologists started talking about the unusual spiral patterns & they pulled her off the air. I never saw her again. They actually cut her off in mid sentence. It appears the subject is forbidden. Prior to 2004, we didn’t have huge spiral weather patterns covering the entire US each spring. We had jet stream waves instead. It helps to notice these changes if you have a photographic memory for imagery. I was shocked when I tried to get imagery of a rare ion storm occurrence & was told by authorities that lightning data is classified. I simply could not believe it. I tried NWS, NOAA, NASA & a metrological university. They all said the same. It’s classified. I find that curious. The ion storm coincided with the failure of 6 duplex computers on the ISS space station about 8 years ago. NASA apparently saw it coming since they had already sent a shuttle in advance which just happened to be there prior to the solar event to evacuate the crew & were carrying a full set of replacement parts needed to repair the computer system which had not failed until after their arrival. The very same week as the 2 back to back ion storms I saw. The details posted about the ISS events & shuttle activities were all revised after the fact & the solar data altered as well. They even denied the ion storms or solar event which took out the ISS computers resulting in the temporary evacuation of its crew to the shuttle until systems were restored… ever occurred that week. As an engineer, I specialized in electrical issues & lightning protection in addition to scientific research of the changing weather & planetary conditions. There are very few people who would know the difference between a lightning storm & an ion storm. Only a handful of people could recognize an ion storm when they see one. I’m one of them. There are very specific differences. The 2 ion storms that week also occurred while most people were asleep. Unfortunately, my video Camera batteries were dead so I didn’t get a chance to record it. Nor could I obtain a copy. Nor did I imagine they would classify lightning from the public. There are a lot of things they think we don’t need to know. This was just a tiny example. Yet people still believe they would be informed of any hazards or major events. Since we are tilted farther south in the summer it now places us at the similar latitude where the spiral weather patterns form and move toward the Caribbean as hurricanes. There is more info about this weather pattern on my other posts. I also have a loop of satellite photos comparing the weather patterns at the same time of day for 3 months over a 5 year timeline. The public didn’t seem to notice the weather pattern changes with the new spiral weather systems across the US in the spring months since 2005. Much less, the fact that the sun is so far to the north each summer. It was just one of many indicators that our axis has significantly changed. It seems only a small number of people have taken notice of the changes. They wouldn’t notice a meteor strike in their backyard unless they saw it on their phone or computer. So they are perfectly willing to accept the sun being so far out of normal position unless it affects their internet connection. The ancient cultures were much more observant of the sun & planetary conditions than people are today. I reside in northern Min. by the diagrams that u have shown in this article it looks as though I will then reside some where south of the equator this,, looks like a tropical region, would human life be sustainable ? i would like to know about land displaced by water after the slip of the earths surface. Keep in mind that while we are tilted farther south in the summer (1200-2000 miles based on the position of the sun)… we are also tilted the equal amount farther north in the winter. Just the opposite due to our changing perspective toward the sun as we orbit. The tilt of the axis is why we have warmer weather in the summer and cold weather in the winter. By increasing that tilt, it causes our summers to be much hotter and our winters to be much colder (but not cold enough to stop the melting polar ice). Most of the axis shifts have occurred during our winter because that is when it is warmest at the south pole. The more it melts, the more we shift because the south pole ice also acts like a gyroscopic anchor to balance the planetary tilt. After the planet completely shifts onto its side, then we will see really bizarre extremes in the weather. I don’t know how soon this will occur. But the most significant changes in our axis slippage have occurred since 2004. Based on the elevations shown on Google earth satellite, it appears that nearly all of Minnesota is above 500 ft elevation. So there shouldn’t be a problem with flooding unless on a low spot on the coast line or in a low river valley. Other concerns would be the loss of the global infrastructure. Most of our industry, government, fuel, corporations, etc., are located near our coastlines and on locations below 300ft elevation. Elevated sea levels would decimate the national infrastructure. With the loss of food, energy, medicines, fuels, etc, it would create a bad situation. Those who had not made preparations for emergency survival would victimize those who had made preparations. We would also have to deal with severe extremes in cold and hot weather… far worse than in any extreme conditions which might exist today. However, even though we cannot be certain how soon this disastrous event will occur… there are many other cataclysmic situations which could also occur whether meteors, asteroids, plagues, wars, weather disasters, etc. So, it would not hurt to be prepared in case of disaster since it would be a much worse situation to be stranded without any emergency food, water or preparations if some unexpected event should occur which shuts down production of food and necessities. Just the loss of electricity alone would destroy all of the perishables in your refrigerator… which in most homes, contains about 70% of your home food supply. You would be left with whatever canned foods and dry pasta’s or beans you might have handy. Without a backflow inhibitor, it is also likely your water heater would also drain back into the water supply line. Just look at the devastation following a hurricane. That is only a localized area. Imagine a regional, national or global disaster. How would we find food, water, medicine or survive without electricity or fuel. Just look at the tornado damage in Joplin. It took out a wide area… or Katrina. Regardless of the type of event… I always advise everyone to prepare for disasters. It is better to be prepared and never to need it… than to need it and not be prepared. But do not tell friends, neighbors or anyone outside of your immediate family about your preparations… unless you want to be besieged in the event of a disaster. Ensure your family also knows not to share your preparations with others as well. Even the closest of friends and neighbors can become quite vicious when they panic about feeding their families. In a disaster situation, your closest friends can become violent mobs quite rapidly if they know you have food and supplies. areas below 300 ft which will be flooded in a global rise of sea levels are the US East coast, the entire state of Florida and the Gulf coast area as well as river valleys and the southern edge of Lake Ontario as well as the coastal areas of Washington and Oregon and some coastal parts of southern California. Maybe we can measure this one more time on June 21st, 2015. I know someone who lives in Seattle, WA. Hopefully I can contact them (a husband and wife I knew from my childhood, who moved there) and find out where it’s at next year. Although, I don’t know if “next year” will be too late. That would be most helpful. I have seen a large number of global shortages which our gov’t estimates will occur in 2020. Water, food, energy & various ores all predicted for 2020. It occurs to me if our sea levels rise enough, it would definitely impact all of those items on the coastlines. Energy companies, refineries, pipelines, contaminating water tables, food processing, shipping, etc. Seems they have better details than we do. This page has multiple news links describing all these shortages worldwide; all for 2020. Use the toolbar at the top of that page to access the lists of news articles for these official gov’t shortage estimates. Skip over the paragraphs on catastrophe planning. The shortages are below the paragraphs & grouped by subject: Food, water, Energy, misc. All during 2020. The reports are worldwide. Just the sheer numbers of global shortage predictions all for 2020 makes me think they have info about that date which we don’t know. I highly recommend taking a quick glance of these lists of global shortage news reports listing gov’t shortage predictions for 2020. It is staggering. It is amazing to me that so few seem to understand the ramifications of what we are seeing with the sun out of position. Yet the gov’t attack dogs still try to convince the public that it is perfectly normal to have the sun rising and setting to the north. Over a quarter million people died during that shift of the earth in the 2004 Tsunami. The final shift onto the earth’s side will be even worse. We don’t notice the gradual shifts in between, but we are now at the tipping point for the final shift. It is only a matter of how fast the south pole and Greenland ice is melting. People accept what they are told by the powers that be… our leaders who aren’t worried because they have their huge underground sanctuaries crammed full of supplies from our hard earned tax dollars. They are set up to survive for decades if necessary and can adapt to farming underground before their supplies run out. Leaving the rest of us to fend on our own above ground in the terrible climactic conditions we will have to endure without any infrastructure to support our survival. They stole all the FEMA supplies for their underground refuge. Let us hope all these crooks tear each other to pieces while confined together with their ill-gotten gains. There’s something to be said about the Eloi and Morlocks if this situation comes to fruition. A fable which seems to be heading toward those conditions in reality. Our society will truly become separated between the underground facilities and those who survive above ground. Since the gov’t has gone to so much trouble and our expense to plan for it, they clearly understand the dangers of what we are headed toward and have zero intention of informing anyone. But they still send out their attack dogs to endeavor to discredit anyone who alerts the public. They don’t want any public awareness. But I don’t let their attack dogs through these posts. This is one place where we can try to share as much info as possible without gov’t hired attack dogs trying to keep everyone in the dark with their divisive word games. I was invited on the radio but I knew how that would turn out. They would have every attack dog just waiting to pounce. What good would that do for anyone? It is true. If people wait until the last minute when everyone else becomes alarmingly aware, not only will the prices go up on supplies, but they will also encounter shortages of supplies. Between 2012 and 2018, will be when the supplies will be most affordable if they want to take care of solar power or water collection systems or emergency food stores, etc. There is a lot of information on disaster planning and what supplies are needed on Divulgence.net if anyone is interested. Everything from upgrading your home off the grid… to supplies needed for backpacks on a camping trip are described on that site along with other pertinent info. Well, I am wondering if this is a prelude to a change that happened in the distant past. MiltonDegrazie theorizes a strong magnetic bond held the Moon in place until about 14,000 y ago. They project the reason a solar body. I theorize that our sun Sol is a magnetar and has lost energy allowing the dipole to become supreme. The dipole field is less magnetic strength so the Moon moves away from Earth due to this loss. 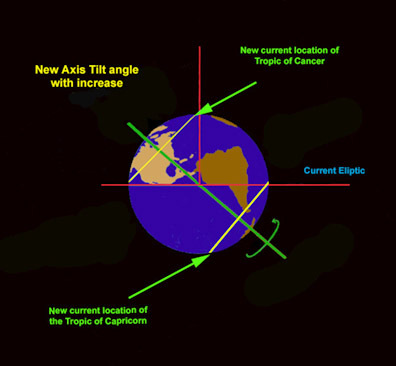 Another theory is the tippi top which allows the Earth to reverse top to bottom while maintaining its current spin. The Ancient Egyptians claimed this happened. At any rate, the magnetic field has lost energy and the implications are as stated above. My responses are usually directed at concepts in general & not toward any specific person. The Earth wont invert upside down because there isn’t enough land weight at the north pole to flip us upside down. However, it can & will slip sideways onto its side because the equator with become the heaviest ballast point after the south pole ice melts enough. Which is where we are currently headed & are at the tipping point now. As far as magnetic reversals, this would not be a physical change in global position but is physically & conceptually possible in theory. But it won’t occur as has been suggested. The reason the magnetic pole has been moving is because our axis is slipping. So as the earth slips farther onto its side, our liquid molten core maintains orientation with magnetic north, to maintain the alignment with the sun’s magnetic field. Our magnetic north tries to remain upright even though we are slipping onto our side. So the location of magnetic north will continue to change as our planets axis continues to slip us onto our side. If a planet could flip upside down (which Earth wont, but this has happened to other planets which did have sufficient top weight); then that planet would be upside down but their “magnetic” orientation would remain constant with polar north of our solar system without reversing or inverting with the planet. Magnetic North would always be up, no matter what position the planet changed. Like a gyroscope. Otherwise, the magnetic interactions of the poles would be incompatible with the magnetic alignment of the sun and other planets. It is a universal magnetic constant. Due to the Unversed magnetic constant polarities of magnetic positive (north) & negative (south) among all the solar systems & celestial objects, & those EM & gravimetric forces controlling the orbits around the sun & the moon’s around planets; polarities will remain in the same alignment north and south of the solar plane of the ecliptic regardless of the planets orientation. The solar plane of the ecliptic is the center circumference of the sun where all the planets are aligned in orbit around it. Everything above that line is magnetically polar north and below that line is magnetically polar south. So it is unlikely that the magnetic poles will ever reverse. An orbiting planet can physically inverse but their magnetic poles would not reverse with it (as I said, the earth is unlikely to ever completely invert due to inadequate weight at top.) But the north and south magnetic poles would remain aligned the same no matter what direction a planet turns to remain compatible with the universal magnetic constant. But I believe this only applies to a planetary body which is in orbit around a sun or planet. A stray planetary body outside of a solar system would not have the same interactions with orbital forces and gravitational fields. By the way, these are my own terminologies. As a scientist and engineer, I get so sick of these meaningless phraseologies which talk in circles and say absolutely nothing of any value. When I use a phrase, I apply literal meaning to it. So when I speak of a universal magnetic constant… I am describing the fact that all magnetic fields of celestial bodies in orbit around a sun in the universe are all magnetically aligned. Thus, a universal magnetic constant. Simple, straight forward application and logic without the scientific community BS wasting verbose nomenclature and meaningless verbiage on some equation. I just love when they actually describe a “constant” as a “constant”. No kidding. That is their actual definition of a constant. But don’t try to look up my phrasing since this is my chosen use of terminology. I’m sure there is some meaningless blustering about the concept somewhere which has been named after the lead pack dog. When I speak of “they” in these terms, I speak of theoretical physicists whose entire existence is consumed in equations. I prefer logical real world application and practical hands on, common sense. These are the kind of people who could measure the radiation energy output of a nuclear core but had no concept as to what that radiation was going to do to the humans exposed to it. Such as Marie Curie walking around with radium in her pockets. Isn’t that a pretty glow? She paid dearly for that as did her husband and daughter. They provided us with great scientific knowledge at a terrible price. You have seen how positive & negative poles attract & repel the poles of a Second magnet. A magnetic pole reversal would be incompatible with our orbital & planetary interaction with the magnetic alignments of the sun & other planets. So even if our planet flipped over the magnetic orientation would remain aligned positive north of the Solar plane of the ecliptic & negative south regardless of whether our planet is rightside up, upside down or sideways. So our magnetic north will always align with solar north even if the earth is lying sideways. As we slip further onto our side, our magnetic north changes physical location to remain aligned & oriented with the solar north. Although not overnight to be sure. It takes eons for the global and universal forces to make adjustments. The speed at which things occur seem to be tied to the size of the object. Just look at how much faster electrons orbit atoms and reactions occur. Then look at how much slower global and universal forces make changes. From nanoseconds to billions of years in time differentials based on the scale of the object. Or bacteria reproductions compared to human gestation and the slower gestation rates of an elephant which is much slower or those of a bird or mouse which are must faster. Even the heart rates are faster in smaller creatures. So size seems to apply to metabolic & gestation rates as well. An interesting concept in the variances in the passage of time. We never see the reverse such as slow electrons and fast planetary for solar formations. If a large planetary body were to enter our solar system, it would disturb all the outer planets & be drawn into the heavy gravitational fields & obits with or around Jupiter & Saturn or impact thereof before it would ever be an issue for Earth. These stray planets are likely the reason there are so many moons around Jupiter & Saturn. Stray planets pulled into their orbits. (and perhaps the red spot on Jupiter isn’t volcanic after all, but the remnants of a planet impact? Any planetary body with an iron core will end up in orbit either around a larger planet at least twice the diameter of the stray planet or in orbit around the sun. A large planet like Jupiter or Saturn can hold quite a few large planet sized moons in their orbits until they reach their limits. Those remaining stray planets will enter into a solar orbit unless they encounter another planet with sufficient size and enough gravitational pull to acquire a moon that size. The other option is the stray planet may impact with the sun if it gets too close. It all depends on velocity and size and iron content. But rest assured, it will either be attracted by Jupiter, Saturn or the sun even if it is a very large planet. It is all about balance, gravitational pull and ferrous content attraction. Only non iron celestial objects like comets or non ferrous asteroids can alter those forces but they are still subject to larger gravity fields as they pass within close range of a planetary body. It seems our axis has slipped this year. Our normal triple digit heat and totally dry summers are 62 degrees this year with weekly rains. The glaciers must really be melting fast this year to produce this type of weather in the heart of July. Our planet is continuing to slip onto its side due to the melting of our south pole anchor point & ballast. For whatever reason, the melting is becoming a runaway problem which will result in horrific consequences. We could only hope to stop it but we do not have the capability of reversing damage on a planetary scale. There isn’t much time left from the changes I am seeing. It must be why the gov’t is predicting so many shortages of food, water, medicines, materials, ores, etc… all slated for 2020. Of course the ridiculous onslaught of more people than we can handle without any sensible management certainly doesn’t help the situation. It will definitely be interesting to see how magnetic north reacts with the earth lying sideways with the equator rotating vertically. Here is a before, current & after set of images. Tank you for those pics. Now I see it perfectly. Though one more question. How can we be sure it’s the axis tilt, and not just some slow and steady crustal movement in one direction, while the axis stays the same? What would be the differences? That scenario would create a serious issue with the planet’s rotation. This information on earth’s axis shift is fascinating! The first scientific mention of this I heard was on a documentary of the Japan earthquake 2011. A brief statement was made in the documentary that the force of that earthquake made the axis shift by a small degree, and actually caused a shift in time though very minuscule. I watched this video on Netflix, and the mention of this was so shocking to me, I backed it up and replayed the statement several times! What I do recall was that it stated the Earth did move approximately ten inches in the direction of its tilt, and that the length of the day was slightly altered. Is THIS one of the “saltings” mentioned in your article concerning the internet and documentaries? They (the powers that be) customarily delete the zero place settings when releasing sensitive info. It is like the death toll after Hurricane Katrina. It started at 10,000. Then every few days they would decrease the number by 2000 until they reduced the official number below 2000 total. The actual number was above 8,000. They did the same with the World Trade Center death toll. They never want the numbers to exceed 5000 on any US incident in case they get caught guilty for complicity or incompetence. They fear public reprisals. They also play this game with surgical statistics which is why they use day surgeries to get the patients discharged as fast as possible. They only count the deaths which occur before discharge. If they can get you out the door alive your death doesn’t count against statistics or insurance ratings or a surgeons track record. Two county coroners in different states told me the death rate from blood clots within 3 weeks after minor day Surgeries & procedures was over 50%. Anytime the skin is cut, the body produces clotting agents. The older you are, the narrower the arteries & higher the risk. The danger period is about 3 weeks after a surgery or invasive procedure such as a stent. Especially for anyone over 40, smokers of any age or fast food (& greasy anime fats) dietary habituations. Smoking also causes blood to clot. 2 baby aspirins taken in recovery & one each day thereafter would prevent these needless deaths. I always bring my own. I’d rather bleed than clot. But this is something to talk to your doctor about prior to these procedures. If the surgeon dismisses the issue, get another surgeon quick. But these are the games they play. They salt acknowledgments of the truth about planetary shifts, etc; then reduce the amount to miniscule amounts so the public thinks it is laughable & ignore the big picture. Do you really think a 10″ shift would wipe out tens of thousands of lives? What about the quarter million deaths in Dec 2004? No shift of inches caused a tsunami which consumed the coastlines from Africa to Thailand & the rest of Indonesia. A tidal wave 1/3 the circumference of the planet in length? The sun is setting about 2000 miles farther north than it did 30+ years ago. I thought it was about 1200 miles but recent measurements are closer to 2000 but I can’t be exact. The sun didn’t get this far north by shifts of inches. They can’t hide the sun, so use your own judgment. You know it is not supposed to be rising & setting to the north of us. This year, it is even farther north than last year for the first time since 2006. We may not hear about all Tsunamis when they occur in a remote or primitive island chain location. But we can see the results. The powers that be aren’t worried. They have their huge underground emergency facilities under Denver & other places (PA, NV, UT, CA, NM) connected by high speed magnetic trains paid for by taxpayers who wont be invited to join them. I have photos of the boring machines. I have a friend who worked on these projects. Denver is the highest flat elevation. Best for rising sea levels, better clean air & water access & plenty of granite in the mountains for protection against impact, attacks, etc. Plus all those FEMA supplies that disappeared are stored there as well. I spent 2 years on a major metro emergency management agency. Go to youtube and search for “earth wobble 188”. YOu will find a little video that stiched together 188 hourly photos from the geo stat. satellite. showing the wobble of the earth over a 7 day period. I witnessed the sunsetting in the north for first time on July 4, 2014. I live in detroit michigan, but isn’t it stated in the bible that in the last days the sun will no longer rise in the east and set in the west? Thanks your post is very informative. You, my friend, are quite right! I have also been of the opinion that the ice caps are melting from the bottom due to increased absorbed land heat. I live in Agbarho, Delta State (Nigeria) and have also observed that the sun and moon set northwards. I found this quite strange and wondered at the possible cause until I just read your blog. I was surprised that the IPCC AR4 did not include a study of land temperature, and that the AR5 only covers land surface temperature readings. Well, let us just keep on watching how this turns out, since certain groups prefer to misinform the public with their claims. I have noticed this dramatic change. The sun used to shine directing through my back windows over my neighbors roof, and have notice it now rises to the left, and during sunset, would shne through my peep hole and illuminate my back door. We have lived in our home since 2000 and had not have to worry about a scolding hot door knob. This past year, the sun has moved quite alot. I live in Austin, Texas.